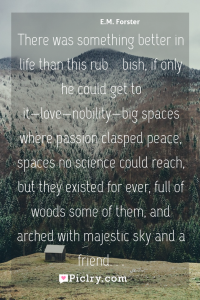 Meaning of There was something better in life than this rub­bish, if only he could get to itlovenobilitybig spaces where passion clasped peace, spaces no science could reach, but they existed for ever, full of woods some of them, and arched with majestic sky and a friend. 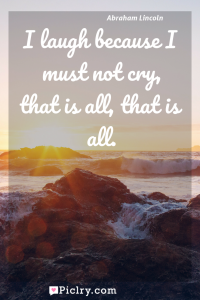 . . Quote by E.M. Forster. Meaning of I laugh because I must not cry, that is all, that is all. Quote by Abraham Lincoln. Meaning of You do not need to know precisely what is happening, or exactly where it is all going. 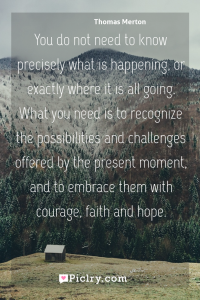 What you need is to recognize the possibilities and challenges offered by the present moment, and to embrace them with courage, faith and hope. Quote by Thomas Merton.